Rochester Intl Airport Project | Oak Ridge Foam & Coating Systems Inc. The Emergency Operations Building is the hub for monitoring activities when there is any catastrophic event at ROC. Late in the year 2014, the specification hit the street but not in time for the work to be done due to an unrelenting Mother Nature. 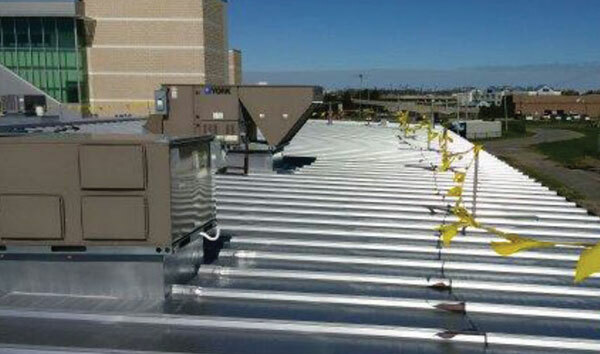 In the following April of 2015, Weathertight Installations was awarded the contract to install a liquid waterproofing membrane over the existing metal panel roofing system. 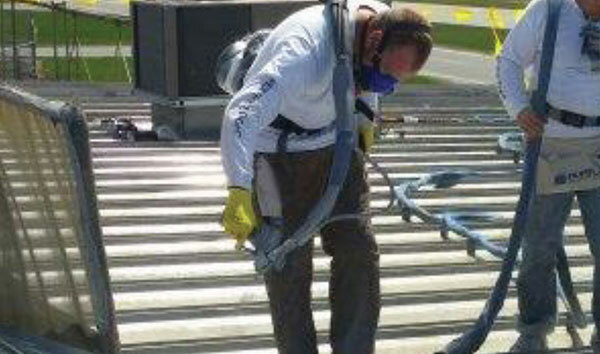 The system included installing urethane caulking to all vertical and horizontal seams, priming the substrate, and installing a minimum of 50 dry mils of Oak Ridge’s OR80SLM Polyurea elastomeric coating over the clean, dry and stable substrate. Upon completion and final inspection, Monroe County/Rochester International Airport received a ten-year Labor and Materials warranty from Oak Ridge.